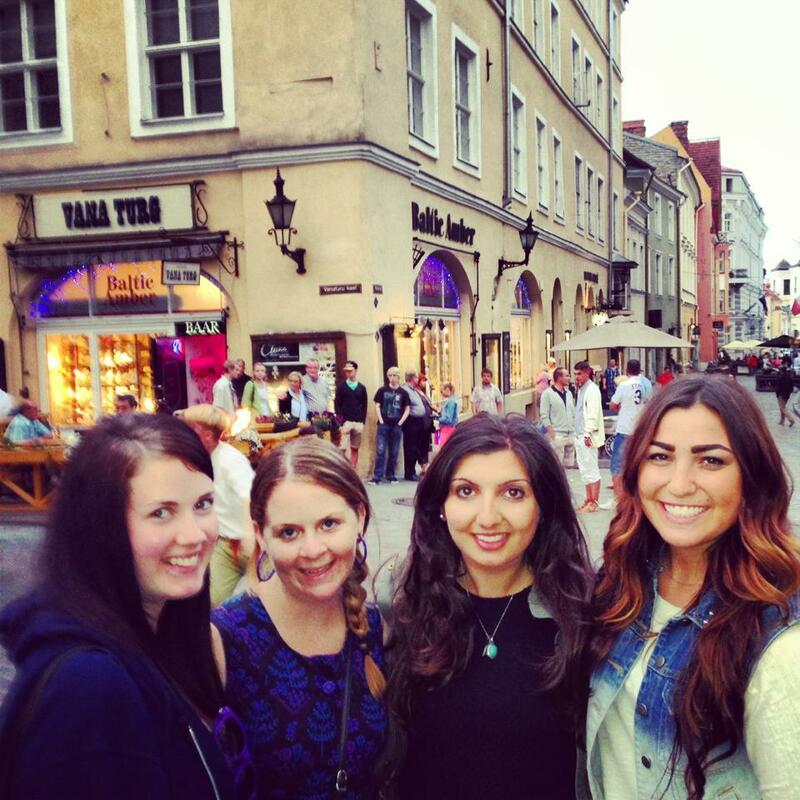 Tallinn is one of my favorite new cities. If you have the opportunity to go, I HIGHLY recommend it. Tallinn is a very old city that has a medieval twist to it. In the center of the city, there are multiple stands where the workers/owners were dressed up in medieval wear. It was awesome that most of the local people in the main square were dressed up. It was a little but touristy, but it wasn’t on the same level of Rome or Paris. The first night we were there we ate at a traditional Estonian beer hall and it was VERY COOL!! I don’t know how else to explain it. It was an upper class family house years ago that they turned into Old Hyne. We drank honey beer and ate a lot of meat! It was all you can eat, so you can only image how much we all had. It was great, they had a special Estonian beer sauce as well which was great! We went to a few pubs after dinner where we met the locals. I talked to quite a few early 20 year-olds who have never left Estonia before, even though Helsinki is a two hour ferry ride away. I thought that was a huge difference in culture compared to many other European countries. The colors of the buildings were also very different from other European countries I’ve been to. The buildings had a feel of the Bahamas to it which was strange, but the colors were vibrant and mostly pastels. It was beautiful. This entry was posted in all seven continents, estonia and tagged baltics, estonia, europe, Meanderingmel, Melissa Brennan, melissa brennan asu, melissa brennan scottsdale, Scandinavia, tallinn, topdeck by meanderingmel. Bookmark the permalink.